1866: Boris Thomashefsky born in Asitnyashka, in the Kiev province of the Ukraine. 1873: Bessie Kaufman born in Tarashche, in the Kiev province of the Ukraine. 1878: Bessie's family emigrates to the United States, moving first to a farming region in southern Maryland before settling in Baltimore. 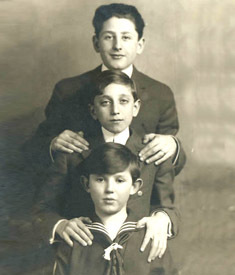 1879: Boris, at age 11, leaves for Berditchev to sing and train with Nisan Belzer's renowned synagogue choir. 1881: Boris and his family immigrate to America and Boris goes to work as a soloist in the Henry Street Shul on the Lower East Side of New York City. 1885: Boris organizes his own theater troupe and performs in Chicago. 1887: Boris travels to Baltimore with his troupe; they perform his play Aliles Dam (Blood Libel) at Concordia Hall. He meets Bessie Kaufman. 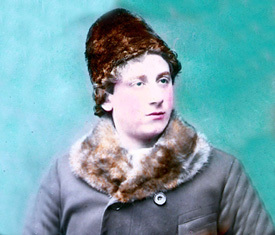 1888: Boris persuades Bessie to join him in New York. He gives Bessie her first starring role in Goldfaden’s Shulamis, which is performed at the Boston Music Hall. 1889: Boris and Bessie marry. Boris organizes a new troupe and opens first Yiddish theater in Philadelphia. 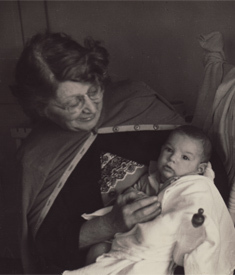 1889: Esther Thomashefsky is born. 1889-1892: Boris and Bessie join Adler in Chicago where they form a new troupe. 1892-1893: Boris and Bessie perform at the German Thalia Theater in New York City, where Aleksander, der kroyn prints fun yerusholaim (Alexander,Ã‚Â Crown Prince of Jerusalem) is produced. 1895: Harry Thomashefsky is born. 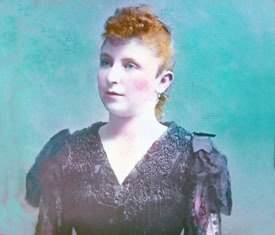 1895: Esther Thomashefsky dies of diphtheria. 1897: Milton (Mickey) Thomashefsky is born. 1899: Der yeshive bokher (The Yeshivah Student) premieres at the Windsor Theater in New York City. 1899: Boris helps found the Yiddish Actor’s Union. 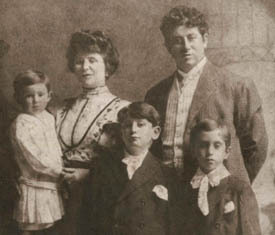 1899-1900: Boris becomes Joseph Edelstein’s partner at the People’s Theater, New York City. 1900: Dovidl meshorer (David the Chorister) premieres at the People’s Theater in New York City. 1900: Di emigrantn (The Immigrants) premieres at the People’s Theater. 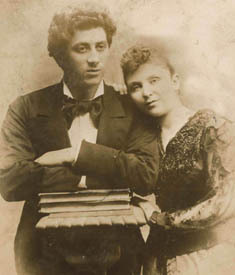 1901: Boris and Bessie visit Europe and perform at the Berlin Yiddish Theater. 1902: Der farloyrener gan eydn (The Lost Paradise) premieres at the People’s Theater. July 4, 1904: Theodor Herzl Thomashefsky (Ted Thomas) is born. 1905: Boris establishes theater at Hunter, New York (Catskills), where Dos grine vaybl, oder der yidisher yenki-dudl (The Greenhorn Wife or The Yiddish Yankee Doodle) premieres. 1905: Bessie stars in a ’trouser’ role as Der griner bokher (The Greenhorn Boy) at the People’s Theater. 1906: Di Aktrise (The Actress), written by Boris as a tribute to Bessie, premieres in Hunter, NY. 1907: Shma yisroel (Hear OÃ‚Â Israel) premieres at the People’s Theater. 1908: Boris publishes his Teater Shriftn (Theatre Works), a series of essays dedicated to Bessie. 1908: Bessie performs at the People’s Theater in the title role of Oscar Wilde’sÃ‚Â Salome. 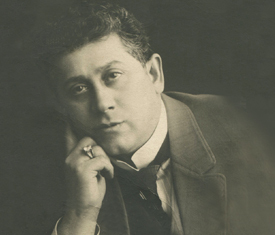 1909: Boris foundsÃ‚Â Di yidishe bine (The Yiddish Stage), a weekly periodical devoted to all branches of drama and music; it runs through April 1910. 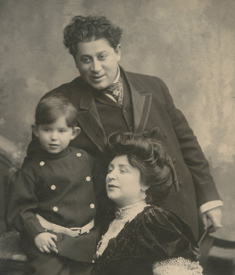 1909: Dos pintele yid (A Little Spark of Jewishness) premieres at the People’s Theater. 1910: Di sheyne amerikanerin (The American Beauty) premieres at the People’s Theater. 1911: Boris tours Europe and performs in London. 1911-1912: Boris and Bessie separate. 1912-1913: Boris performs at Jacob Adler’s People’s Theater. He forms partnership with Adler; they build a new theater on Houston at 2nd Avenue called the Adler-Thomashefsky National Theater. 1912: di Yidishe kroyn (The Jewish Crown) premieres at the National Theatre. 1912: Bessie joins Sarah Adler and Rudolph Schildkraut at the Brooklyn Novelty Theater. Bessie meets composer Rumshinsky. Their first partnership Khantshe in amerike (Hannah in America) premieres. 1913: Boris goes on tour in Europe and performs in London, Odessa and other cities. An account of his travels is serialized in di Forverts (The Forward). 1914-1915: Bessie joins with Jacob Adler at the People’s Theater. 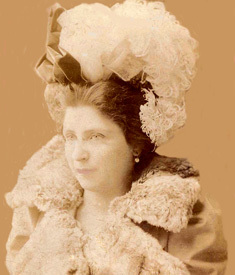 Produces a number of plays focusing on women’s issues, including Vaybershe melukhe (Women’s Kingdom). 1915: Thomashefsky's National Theater opens, featuring Regina Zuckerberg. 1915: Bessie's memoirs are serialized in di Varhayt (The Truth). 1916: Bessie takes over management of People’s Theater. 1916: Boris’ memoirs are serialized in Di Forverts (The Forward). 1916: Dos Tsebrokhene fidele (The BrokenÃ‚Â Fiddle) premieres at Thomashefsky’s National Theatre. 1916: Bessie’s memoirs are published in book form. 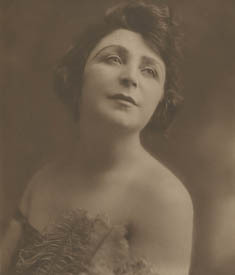 1917: Minke di dinstmoyd (Minke the Maid) premieres at Bessie Thomashefsky’s People’s Theatre. 1917: Uptown, Downtown premieres at Thomashefsky’s National Theatre. 1919: Vi mener libn (How Men Love) performed at Thomashefsky’s National Theatre. 1923: Bessie begins to perform at English vaudeville houses. 1924: Ted Thomas works as the stage manager on Max Reinhardt’s production of The Miracle with Norman bel Geddes. 1924: Boris takes troupe to perform in Buenos Aires. 1931: The Singing Rabbi opens at the Selwyn Theater. 1933: Boris writes play about Hitler that premieres at Thomashefsky’s Rumanian Village. 1934: Ted Thomas works as the lighting assistant on the premiere of Virgil Thomson’s Four Saints in Three Acts. 1935: Harry Thomashefsky directs the film Bar Mitzvah, starring Boris. 1935: Bessie begins second memoirs, serialized in der Tog (The Day). 1936: Milton (Mickey) Thomashefsky dies. 1937: Ted Thomas works as stage manager for Orson Welles’ premiere of Faustus for the Federal Theater Project. 1937: Ted Thomas works as the stage manager for the premiere of Marc Blitzstein’s musical The Cradle Will Rock, directed by Orson Welles for the Federal Theater Project. 1937: Ted Thomas and Roberta Meritzer marry. 1937: Boris publishes his memoirs in book form. 1938: Ted and Roberta Thomas move to Los Angeles. July 9, 1939: Boris Thomashefsky dies. 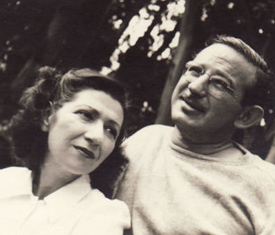 1939: Bessie Thomashefsky and Harry Thomashefsky move to Los Angeles. December 21, 1944: Michael Tilson Thomas born. June 27, 1950: Judith (Judy) Thomas, daughter of Harry and Vera Thomashefsky, born. July 6, 1962: Bessie Thomashefsky dies. October 28, 1992: Theodor Herzl Thomashefsky (Ted Thomas) dies. January 28, 1993: Harry Thomashefsky dies. 1998: The Thomashefsky Project is created. April 14, 2005: First performance of The Thomashefskys: Music and Memories of a Life in the Yiddish Theater at Carnegie Hall. Caveat: The above dates represent the best estimates. Neither Bessie nor Boris ThomashefskyÃ¢â‚¬â„¢s memoirs contain dates. We began with Zalmen ZylbercweigÃ¢â‚¬â„¢s entries in his Lexicon of Yiddish Theatre, then reconciled his dates with events described in the autobiographies, newspaper articles, copyright registrations and numerous other documents.